European stock markets tend to have positive and high returns on days when the NYSE is closed. The effect is significant when the previous day’s return on the NYSE has been positive. How do the European equity markets behave on these days when the US markets are closed? This was the question asked by the authors of an academic paper (Casado, Muga and Santamaria, 2011). The authors analysed open and close values for the CAC40, DAX, FTSE 100, IBEX35 and EUROSTOXX50 (for the euro-zone stock market) for the period 1991-2008. Their results were remarkable. 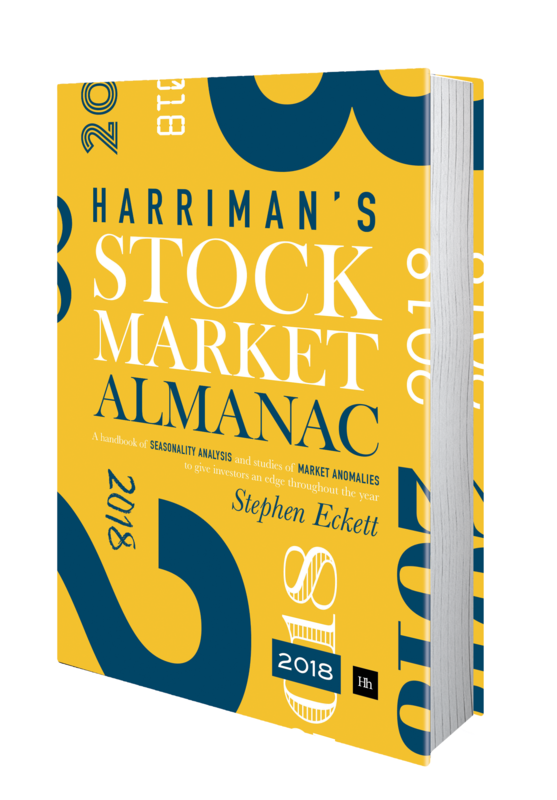 Their research found the average daily returns for the European markets when the US market was closed was 0.32%, which was 15 times greater than the daily returns on all days.The greatest (NYSE-closed) daily returns were 0.42% for the German market. Interestingly they found similar results for the open to close data on the NYSE-closed days. Meaning that the information from the previous day’s US market had been fully absorbed at the market open, and the effect is attributable to European trading. Because the effect is so great it has a clear economic signiﬁcance as it is possible to obtain signiﬁcant returns after deducting trading costs by trading index futures. The following figure from the paper shows the result of systematically buying FTSE 100 futures at the open on a NYSE-closed day and where the previous day’s NYSE return was positive, and then closing the position at the close on the same day. The red line is the equity chart for the strategy (left axis), and blue line the FTSE 100 Index (right axis). The strategy had positive returns in both bull and bear periods for the market. What is the effect on equity markets when sovereign debt loses its AAA rating? 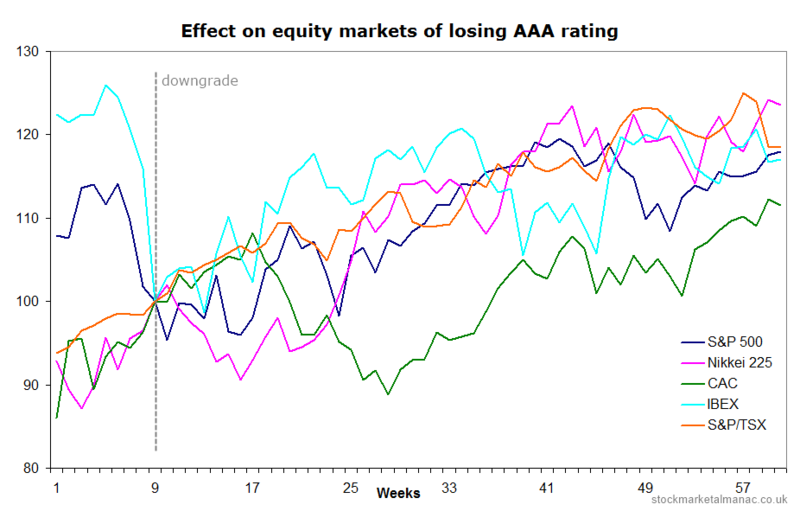 The following chart shows the effect on five equity markets when the related sovereign debt lost its triple-A rating. The date of the downgrade is taken as the first date that the sovereign lost its AAA rating. For example, Moodys downgraded Japan in November 1998 but Standard & Poor’s kept Japan at its highest rating of triple-A until February 2001. In this study the first date (November 1998) is used. The time period analysed is from two months before the downgrade to 12 months after. The downgrade is announced in week 9 – as indicated by the dotted line in the chart. The five indices are indexed to 100 at the end of week 9. In the short term (two months) following the downgrade all the equity markets except Japan performed strongly. After the first two months, Japan then rebounded strongly, although the French market then suffered a period of weakness. 12 months after the downgrade all equity markets were higher, with an average increase of 17.7% from the time of the downgrade.